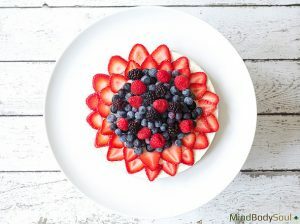 Surprise your guests with this super creamy and berrylicious vegan cheesecake, it’s the perfect dessert for the holidays and any special occasion. Pitted dates are rich in phenolics, selenium, copper, potassium, and magnesium, and they contain fairly good amounts of manganese, iron, phosphorus, calcium, vitamin B3, and vitamin B6. Almonds and walnuts are excellent sources of antioxidants, vitamins, and minerals, and they can boost your heart health and your overall health. They possess anti-inflammatory properties, aid in weight management, and they are also believed to slow down the spread of cancer. Although cashews are one of the lowest-fiber nuts, they are also packed with vitamins, minerals, and antioxidants. These include vitamins E, K, and B6, along with minerals like copper, phosphorus, zinc, magnesium, iron, and selenium. A daily dose of raw honey can raise levels of health-promoting antioxidants in the body and it’s an excellent alternative to processed sugar. Antioxidants help block free radicals in the body that cause disease, and helps boosts the immune system. Honey contains polyphenols, which are powerful antioxidants that have been shown to reduce the risk of heart disease and cancer. Note: If you’re limiting all sugar sources in your diet, often the case for many current cancer patients or diabetics, then you may swap the honey for Stevia to sweeten this recipe. 1. Add soaked dates in Vitamix or food processor and mix until soft. Set aside. 2. Add walnuts, almonds, cinnamon and sea salt and process into a meal. 3. Add dates back in and blend until it forms a dough-like mixture. 4. Press the base mixture into a 9″ springform pan evenly and place it in the freezer while you are preparing the filling. 5. Add all filling ingredients to Vitamix or food processor and mix until silky smooth. 6. Remove the chilled base from the freezer and top it with the cashew cream cheese filling and return to the freezer to set for about 5 hours. 7. Before serving, take it out from the freezer and decorate with your choice of berries.